The Business Model Canvas has quickly become a popular tool for those planning out a new business venture. 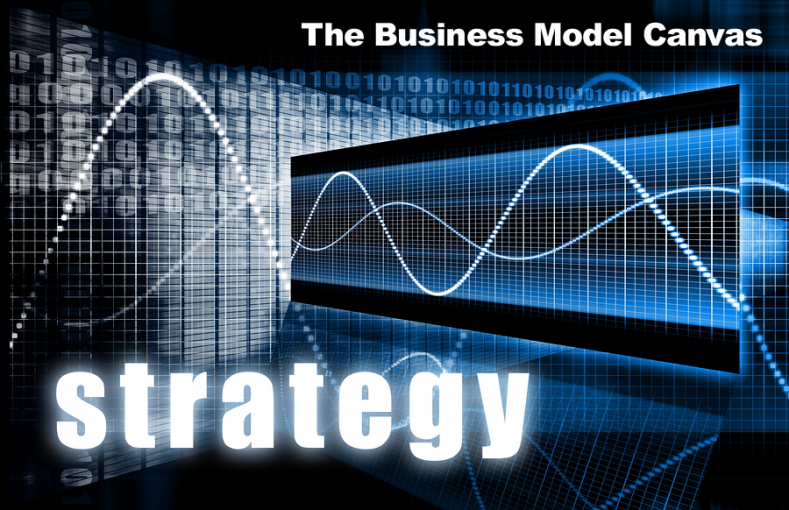 While this model is frequently used as a strategy planning tool for startups, it can also be put to use by existing businesses wishing to turn in a new direction as they look to the future. Either way, this is a useful tool as it helps you to gain an overall perspective on the business you are hoping to run. Rather than going into business with a half-cooked idea that is full of holes, use this canvas to your advantage so you can get started with a well-rounded concept of what you are trying to accomplish. This business model tool is divided up into building blocks that can be used to create an overall picture of the desired organization. While there are a variety of iterations of this tool that have been put into use, you will commonly find that the model includes nine unique building blocks. The content below will highlight each of those nine building blocks. What are the activities that the company will be engaged in? This should go a bit deeper than just a listing of the products or services that you wish to sell. How are you going to create value for your customers? Are you going to sell your product at a lower price than your competitors, or are you going to create a better product overall? By deciding how your business is going to compete on a day to day basis, you will have the start of an overall business strategy. These are the things that you have access to which are going to give you an advantage over the competition. For instance, do you have people with special skills, or perhaps a proprietary piece of equipment for producing your goods? Everything listed in this part of the canvas should be considered an asset to the business, in whatever form it happens to come. No business is an island – you are going to need strategic partnerships if you are going to succeed. Often, these key partners will come in the form of suppliers who play a role in the creation of your product. For instance, if you are building a product from scratch, the companies who supply you with your raw materials would certainly be considered key partners. This is the core of your business. When someone asks you what it is that your business does, your answer will likely mirror your value proposition. If you pride yourself on quality over low prices, you may say that your value proposition is to offer customers the ‘best widget on the market today’. On the other hand, you could offer ‘the most affordable widget on the market’ if you are targeting the value market. Before you get too far down the road of starting and running your business, you should have your value proposition firmly defined. Who are your targeted customers, and how are you going to build relationships with those people that last for years to come? There are a number of ways to build customer relationships, from providing great customer service to offering unbeatable prices and loyalty discounts. Of course, as a new business you won’t have customers just yet, but you should already have a clear picture of how you are going to try to build those all-important customer relationships. In today’s digital world, connecting with your market via social media and other online channels is a common strategy for developing a loyal following. There needs to be a clear strategy in place for how you are going to deliver your products to your targeted customers. Will you be opening up your own store fronts, or will you be selling through distributors? Perhaps you will focus on online sales instead, or you will use a combination of these options? No matter what direction you decide is best for your distribution, make sure you have a good idea of how the products you make will get to the customers you target. Many businesses have failed because they didn’t properly develop their channels, even though they had a great product to sell. Deciding on who specifically will be buying your goods or services is another important step in this process. Are you going to sell to the market as a whole, or is there a specific niche that you will target? This is all going to depend on exactly what you are selling. Some businesses are well-suited for targeting the whole market, while others would be better served to identify and target a smaller niche that they can potentially dominate. Money is the name of the game in business. If you fail to make decisions based on money, you will fail to be in business for long. How are you going to structure your business from a cost perspective? Are you focused only on costs, or are you focused on producing the highest quality product possible even if that means a higher cost? There are successful businesses on both sides of that equation, so it is a matter or preference and analyzing the market for opportunities. Quite simply, how are you going to make money? You need to start bringing in money as soon as possible in order to pay the bills and keep your business moving forward. Are you simply going to make money by selling units of your ‘widget’, or will there be other revenue streams built into the company (such as subscriptions, licensing deals, ad fees, etc.). This is another point that is dependent on the specific form and function of your business. You could easily spend weeks or even months working on your business model canvas, and that is exactly what you should do before jumping head first into a new venture. Using this model will allow you to work out any potential roadblocks that are standing between you and a successful future. Once complete, you will have a clear picture of the plan that is now in place, and you will be able to proceed accordingly. The Business Model Canvas has quickly become a popular tool for those planning out a new business venture. It takes the form of a visual chart with elements describing a firm’s or product’s value proposition, infrastructure, customers, and finances. While there are a variety of iterations of this tool that have been put into use, you will commonly find that the model includes nine unique building blocks. Key Activities: What unique things does the business do to deliver its proposition? Key Partners: Who are your key partners/suppliers? What are the motivations for the partnerships? Value Propositions: When someone asks you what it is that your business does, what is your answer? Customer Relationships: What relationship is it that the target customer expects you to establish? Channels: How are your value propositions promoted and delivered? Customer Segments: Who are the customers? Cost Structure: What are the business’ major costs? Revenue Streams: How are you going to make money? 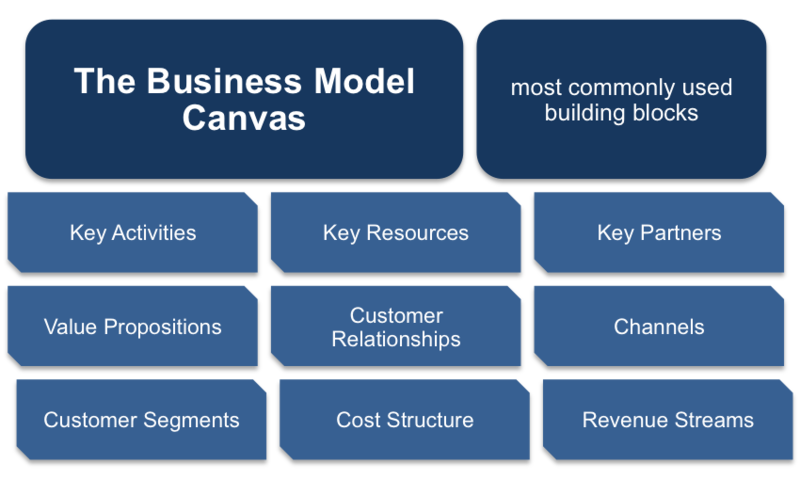 The Business Model Canvas is an effective strategic management template for developing a new or documenting an existing business model.